What Are My Tooth Replacement Options with Implant Dentures? What Implant Dentures Results Can I Expect? Implant dentures, also called implant-supported or implant-anchored dentures, are dentures secured in place by dental implants. This innovative solution for replacing all of the teeth in the upper and/or lower jaw offers reliable, stable, and aesthetically pleasing results that surpass the functionality of removable dentures. Secure dentures can help you smile, chew, speak, and laugh comfortably, without worrying that your dentures may slip or fall out. The custom implant dentures we offer at Restorative and Implant Dentistry of Bayside are created using high-quality materials from local laboratories. If you are curious about how implant dentures can transform the function and esthetics of your smile, we encourage you to contact our practice to schedule a consultation with prosthodontist Sameet Sheth, DDS to explore your options. All-on-4® is a specific implant denture technique that uses four strategically placed dental implants to secure each denture in place. Two dental implants are placed on either side of the arch toward the front; two additional implants are then placed on either side toward the rear of the mouth and angled posteriorly to optimize support for the denture. This placement allows the implant denture to snap securely into place. Some patients who are not good candidates for a full set of single-tooth implants due to insufficient jawbone density choose All-on-4® as an alternative option that can provide many benefits. In some cases, patients are better suited for the “All-on-6” technique. The All-on-6 implant denture option is a modified version of the All-on-4® technique that utilizes six dental implants per arch rather than four to create more support for the denture. 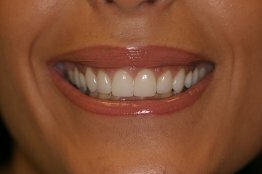 When a patient needs both the upper and lower arches of teeth replaced, full mouth restoration can be achieved with implant dentures. If the All-on-4® technique is used, the patient will receive a total of eight dental implants. Twelve total dental implants are needed for patients who would better benefit from All-on-6. During the consultation process, Dr. Sheth will perform an oral exam, review your medical history, discuss your individual goals, and help you decide which implant denture option can best suit your needs. For each and every implant denture patient, Dr. Sheth creates highly customized treatment plans designed to provide long-lasting, natural-looking, and functional results. To begin the process of restoring your smile with dental implant supported dentures, you will have a consultation with Dr. Sheth to evaluate your oral health, review your medical history, and determine if you are a candidate for dental implants. If you are in good health and have sufficient jawbone support, then Dr. Sheth will use a 3-dimensional scan of your mouth to develop a plan for where and how to place the dental implants you will require. The number of implants will depend on your unique oral structure and the type of implant dentures that Dr. Sheth recommends. Dr. Sheth will explain his treatment plan step-by-step so that you have a clear understanding of how the procedure will take place. He may recommend periodontal treatments to improve your gingival health and/or build bone structure prior to implant surgery. During surgery, Dr. Sheth will use surgical guides to place dental implants in the precise locations mapped out during treatment planning. Once this is complete, the jawbone and tissue will be allowed to heal until the bone has integrated to the implants. This process typically takes approximately two to six months, but can take longer in some situations. When the implants are fully healed, Dr. Sheth will make proper impressions and records for creating your custom implant dentures. With meticulous work, the position of your occlusion (bite), the esthetics, and your speech capabilities are carefully tested and verified at a try-in appointment prior to the delivery of your new smile. 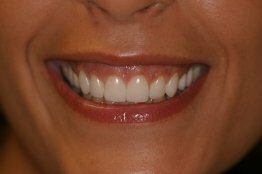 Patients who have received implant dentures are generally very pleased with the results they achieve. 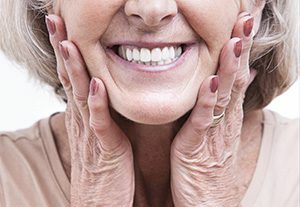 Many who previously wore removable dentures are thrilled with the functionality of their implant dentures and enjoy the added confidence and freedom they provide. As a prosthodontist with extensive dental implant experience, Dr. Sheth strives to provide his implant patients with the highest level of care and remarkable results at each stage of the procedure. There are many variables that can impact the total cost of your implant dentures. As a result, there is no set cost for the procedure. At the end of your initial consultation, Dr. Sheth will give you an estimated price for your implant dentures based upon your customized treatment plan. Factors that can affect the cost of implant dentures include the number of implants placed, the materials used to create the dentures, laboratory costs to manufacture your restorations, and whether bone grafts are required to augment jawbone density prior to the procedure. For more information about dental implant supported dentures, please contact our office to connect with a knowledgeable member of our team.